Have a promising business venture? Up to $1,000,000 in US investment funding could be yours. It is the dream of every entrepreneur to bring their ambitious business ideas to fruition, but a lack of funding often relegates these ideas to remain merely ideas. 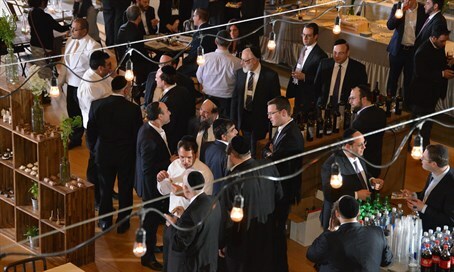 The upcoming J-Biz Expo and Business Conference, a project of the Orthodox Jewish Chamber of Commerce (OJC), and the American Jewish community’s largest business event, is offering an exciting opportunity to entrepreneurs from around the world. The finale’ of the event, which will be held on June 1st at the New Jersey Convention and Exposition Center, will be “The Accelerator” investors panel. The Accelerator will feature a panel of successful, savvy investors who will entertain investment opportunities onstage. The audience will watch the back-and-forth with intrigue as each proposal will be presented to the panelists, who will ask pointed questions, before making offers and negotiate counteroffers with the business owner on the spot. Up to $1 million in investment capital will be offered. The applications process for The Accelerator is open to entrepreneurs in the U.S., Israel, and anywhere else. A handful of lucky presenters will be selected for The Accelerator by J-Biz staff after a careful screening of their applications. The Accelerator will focus on proposals from existing successful businesses looking to launch a new product or service, or new business ventures that can demonstrate concrete viability. The time to apply is now, before the review process will be closed. Visit http://www.jbizexpo.com/#!accelerator-application/kd7sg, and tell us what’s up your sleeve!